IWhat I really wanted to know is how difficult it was to adapt the Climax to the wider gauge? Anyway, excellent work so far and I look forward to your ongoing progress. It does not get much easier to re-gauge an engine that it does the climax, about 10 minutes per truck. Well, my batteries dead in my camera so I grabbed my wifes camera, so pardon the photos. there is as far as I got this weekend, the caboose is on its wheels, couplers in and working, the main body is all framed and sided inside and out, the end platforms are on and the roof is on and can be removed to see the details inside. Inside the caboose I have a stove and a bench for passengers. this week I am going to search for lots of detail in add to the interior and build the windows. The windows will be built from wood with real glass. I plan to build wood doors that will open and close. I think by the end of next weekend I will be really close to having it finished and I will get back to layout building. for the record, the reall Mann's Creek caboose had link and pin couplers but I am using San Juan Car company couplers on everything set at On3 coupler height, which is a little higher than the MC had its link and pin so I had to raise the caboose 6" higher than the prototype was. 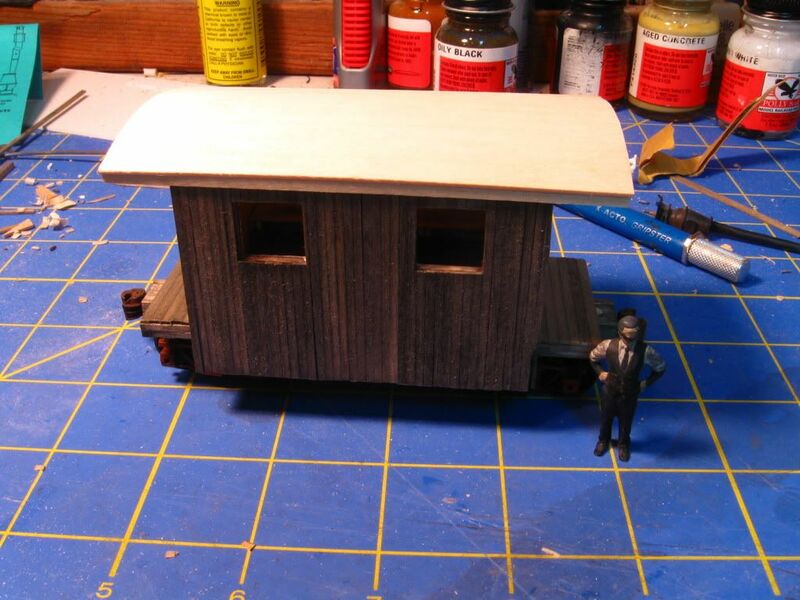 to help the caboose look a little lower I extended the siding down a little lower than the prototype. The siding was all done one board at a time on the exterior, the inter was scribed sheeting. the flooring is board by board. Very nice little car, Jeff. I love that you bothered framing it in a very realistic way. I did it that way incase I decided to break off some boards I would have that option. Very nice, Jeff. I look forward to seeing the rest of the detailing. I agree with Frederic Jeff. No one will ever see the framing, but the fact that you did it is super cool. What are your current thoughts for operations on the Slater Creek Ry? operations will be pretty laid back, daily coal trains from the mines to the dump trestle will be the main operations. There will be a mixed freight daily that will come from staging. I have a couple hidden staging tracks to hold some trains that I just want to run the loop and also allow me to expand the operation if I expand the layout. I planned this layout as a solo operation. The coal will be live loads, loaded at the mine and dumped at the trestle, so that will add some time. small up date, I took a short break from the caboose build to finish laying the staging yard tracks and I installed my first Digitrax DS44 and I got a chance to test it out to see if I like throwing turnouts using a DT-400 throttle, so far I like it. I would never want to use a throttle to throw turnouts for a busy yard but I can see that it would work fine for industry or branch line spurs. What I like about using the throttle is that it slows down the operations just a little bit per switch move, which better simulates the process of a brakeman walking to a switch and throwing it. 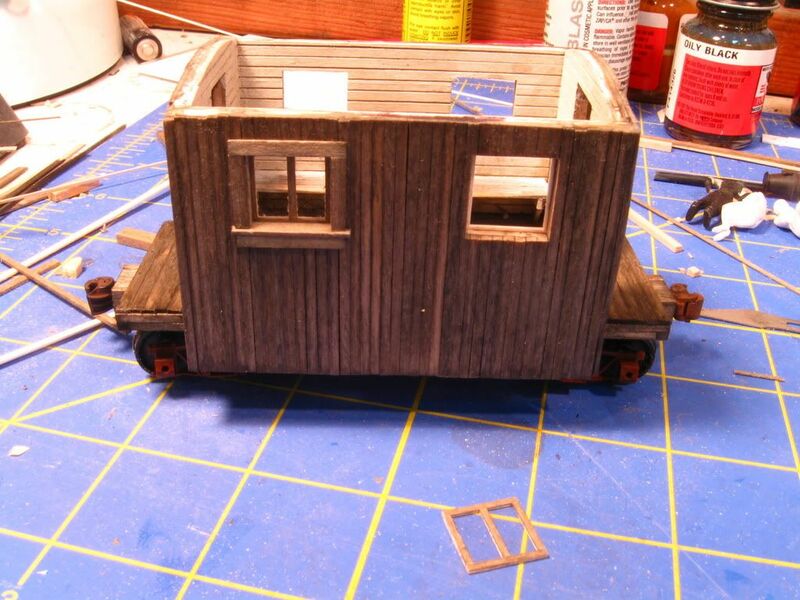 Tonight and tomorrow will be caboose time, the goal is to finish the roof and get the windows built. next week will be the doors and the railings. I think you will like using stationary decoders to throw the turnouts. It will have the desired effect of slowing down operations, but they also reduce "Big Hand from the Sky" intervention into the scene. The whole process of operation will be more seamless and prototypical. 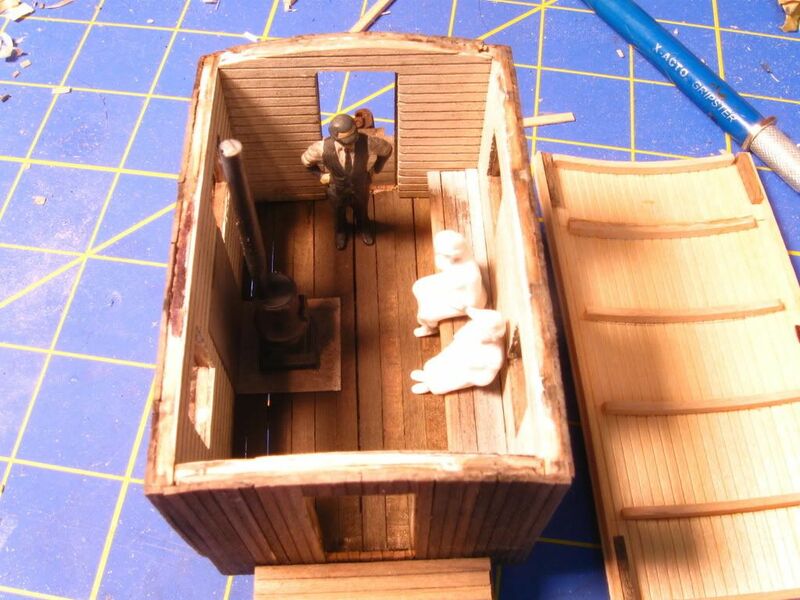 here is an update on my Mann's Creek caboose. I have one side windows done and the other side started, the photo posted was taken after I finished the first window and started the second. The windows are real glass and they are framed inside and out. There are 22 pieces of wood in each window and it took me 3 hours to do one side. 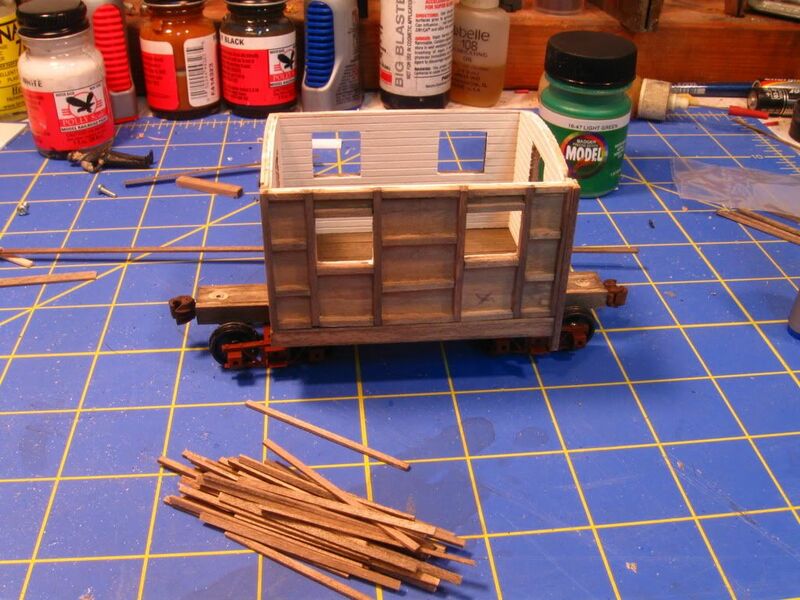 I did not get as far on the caboose as I hoped but while I was taking a break from window building I did finish laying the all the track in my staging yard. I should have the windows in the cabooose finished this week and move on to the doors. The windows are very well done. Very precise.